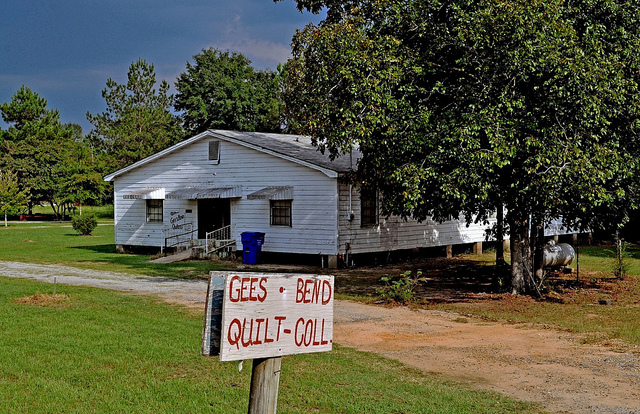 Quilts are its trademark, but the legacy of Gee’s Bend, Alabama, will be its food, culture and way of life. In 2002, the Museum of Fine Arts in Houston, Texas, presented an exhibition of 70 quilts from Gee’s Bend, Alabama. 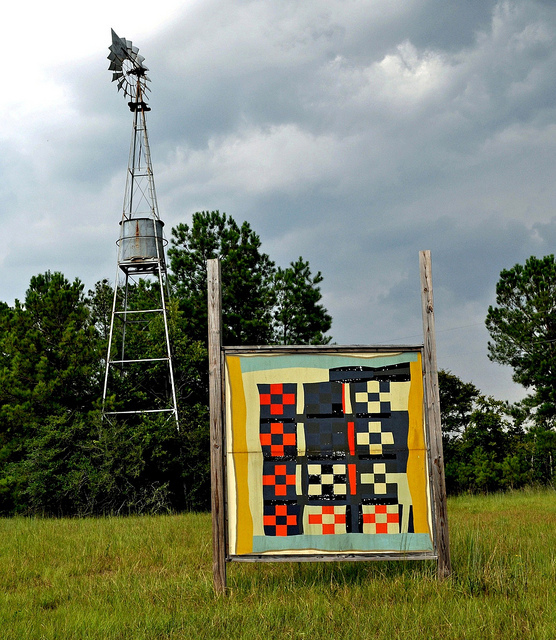 The story goes that art collector William Arnett came across a photograph of one of the quilts while working on a history of African American vernacular art. He set out to find the quilt, and its maker, and arrived in Gee’s Bend. His discovery led to the “Quilts of Gee’s Bend” exhibition, which traveled the country from Houston to New York, Boston, Atlanta and San Francisco. The quilts and their quilters became famous almost overnight. 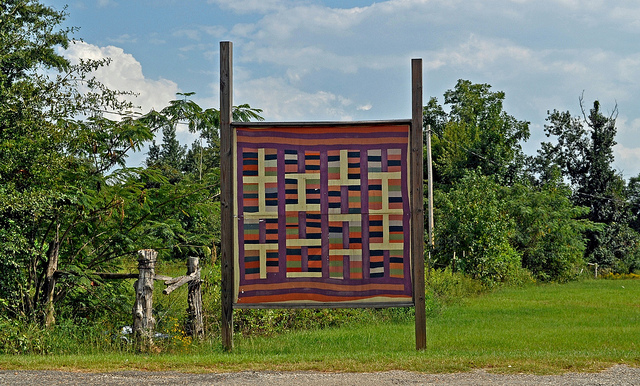 New York Times art critic Michael Kimmelmann called them “eye-poppingly gorgeous.” The quilt Arnett first saw a photo of was made by Annie Mae Young and features a red and orange design in corduroy that’s suggestive of prison bars. Faded denim surrounds it. Created by 42 women, the quilts in that first exhibit spanned four generations, several patterns, including the popular “Housetop,” and every color imaginable. A year later, the Gee’s Bend Quilters Collective was founded to help the women market their quilts. (Some sell for more than $20,000, with the most affordable ones priced around $1,000 and squares around $30.) After being featured on postage stamps in 2006 and in a second exhibition that year, the Gee’s Bend quilts became iconic symbols of American art. Most people have at least heard of them, but not many have actually visited the source. Although they are world famous, the women of Gee’s Bend still hone and teach their craft at the collective, and their little woodframe houses dot the rural community. Anyone is welcome to visit, purchase a quilt and even sew a square or two, they just have to know how to find Gee’s Bend. Surrounded on three sides by water and located in a bend of the Alabama River, Gee’s Bend is accessible by ferry and County Road 29 from Alberta. This area was founded by the Gee family in the early 1800s, and the land sold to Mark Pettway in 1845. After the Civil War, the freed slaves took the name Pettway and founded their own all-black, isolated community. 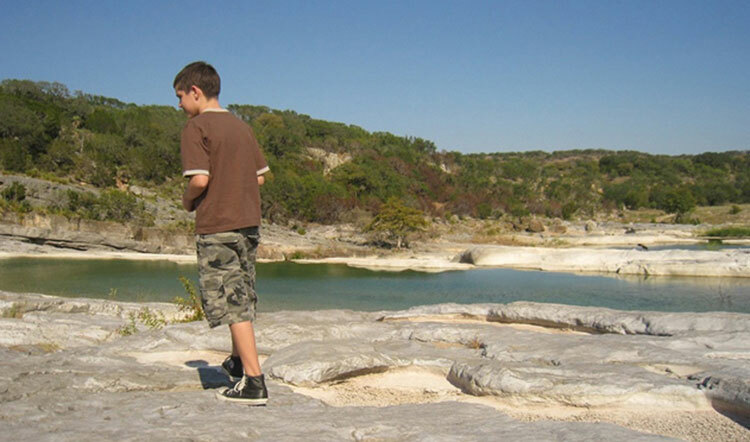 Since then, Gee’s Bend has made headlines and fascinated outsiders. In the mid-1960s, the Freedom Quilting Bee (middle picture above) was founded as an offshoot of the Civil Rights Movement to foster community development by selling crafts. At that time, residents also began taking the ferry across the river to Camden to try and register to vote. Ferry service was eliminated in 1962 to halt this effort, which lasted for 44 years. Lack of a ferry and an hour’s drive to Camden from the other side contributed to Gee’s Bend remaining isolated, and untouched, from the outside world. Ferry service was restored in 2006 and a Quilt Mural Trail (pictured below) erected in 2008. Now, thanks to help from students at Auburn University, Gee’s Bend is set to undergo a large transformation that will encourage tourism and give visitors more things to do once they get there. Third-year architecture students at Auburn presented ideas at Urban Studio in Birmingham last December on how to increase community tourism in Gee’s Bend. Urban Studio is an outreach program of Auburn’s College of Architecture, Design and Construction that allows fourth-year and thesis students to participate in community projects. Professor Sheri Schumacher of the university’s School of Architecture says the students’ architectural investigations provided design solutions for a Gee’s Bend Learning Center (pictured in the sketch below), which would include the study of quilting, visitor housing and community regeneration opportunities. Students presented ideas on how to turn Gee’s Bend from an unknown locale into a tourist destination, and their presentation ignited further ideas on community-based tourism among local leaders. Specific ideas focus on sustainable visitor housing, complete with a rainwater collection system, along with a community and education center. Old Roosevelt homes, which were built on plots of land the government bought to use as agricultural cooperatives, were proposed to be rebuilt for both residents and tourists, and many designs use the site of the old Boykin School. Students discussed bringing an arts center into the Gee’s Bend area and having a quilt exhibition as the primary focus. 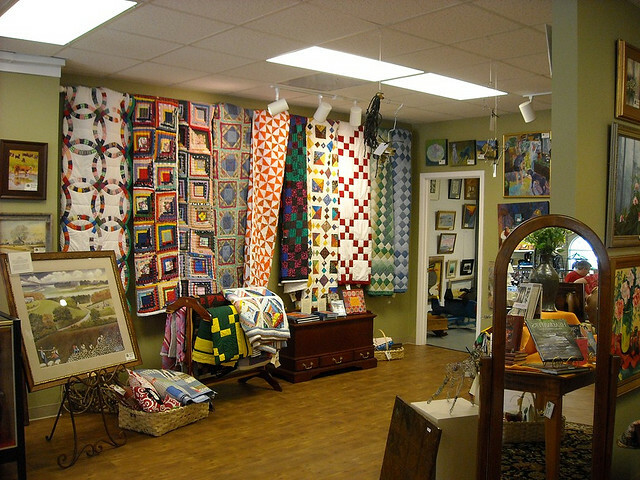 Quilts could be displayed, while also reinvigorating the economy with a retail shop selling quilting supplies and souvenirs, café and quilting workshop classes. Since the December presentation, Keshia’s Snack Shack, located a short distance from the quilt collective, has opened in Gee’s Bend. Offering salads and sandwiches, the restaurant is the only one in the area, adding to new amenities for potential visitors. Another focus is on festivals and events, like the “Gee’s Bend Play,” spearheaded by Tanna Pettway and based on the true story of the women of Gee’s Bend and their quilts. Performed at least once a year (and across the country by theater groups), local performances of the play star an all-local cast, several of them Pettways. Click here to see a video clip from the play performed at the Cincinnati Playhouse last year. Additional tourism activities could include paddling the Alabama scenic river trail, fly-fishing tournaments and biking. The community’s annual May Day Celebration, sponsored by the league, is currently its biggest draw. Scheduled for May 5, the festival will include quilting of course, along with other crafts, food items, a parade, music and traditional maypole dance. Euneika Rogers-Sipp with Sustainable Rural Regenerative Enterprise for Families says projects like these allow residents of Gee’s Bend to take an active part in tourism. Funded in part by a $300,000 grant from the Ford Foundation, this type of community- based tourism can result in longterm resources and learning opportunities, in addition to improving the livelihoods of small businesses and tourism entrepreneurs in rural communities in the Black Belt, adds Rogers-Sipp. Auburn’s Schumacher has already conducted a two-day pilot quilting workshop with the collective quilters that included home stays and catered meals for 11 participants. Another workshop was held last month, and coming this fall, a new group of Urban Studio students will again work on the vision for Gee’s Bend and begin implementing some of the first group’s ideas. The possibilities are endless for Gee’s Bend. While it may be a few more years before tourists can rent a room, purchase an official food product or quilting supplies in the gift shop, a slice of history is waiting to be witnessed now. We suggest making the trek for May Day, then going back in a few years and seeing the fruits of the community’s labor. Gee’s Bend is located about an hour and a half from Montgomery, two and a half hours from Birmingham and four hours from Atlanta. The quickest way to get there is by ferry from Camden. The Gee’s Bend Ferry runs seven days a week from 6:15 a.m.-5:30 p.m. Prices range from $1-$10 depending on vehicle type. Currently, there are no hotels on Gee’s Bend. Roland Cooper State Park is the closest place to stay and does have six, two-bedroom cabins, ranging from $72-$82 a night. To schedule a home stay with a quilter, call Linda Vice at 334-715-9653. Camden has the Southern Inn Motel & Restaurant and American Inn, while Selma, less than an hour away, offers the historic St. James Hotel. See the quilters at their craft, purchase a quilt and maybe even sit in on a square. Quilting by local women can be seen daily from 9:30-11:30 a.m. at the new Gee’s Bend Ferry Terminal and Welcome Center. Women of the Quilters Collective can also be found quilting there through lunch most days. The Quilt Mural Trail begins at the Freedom Quilting Bee and continues into Gee’s Gend, marking quilters’ homes, the old school and the ferry terminal. Gee’s Bend quilters now offer quilting lessons for groups at the Quilters Collective. Lesson packages include locally prepared meals, home stays and lessons from the quilters. Contact Mary Ann Pettway at 334-573-2585 (home), 334-453-0687 (cell) or 334-573-2525 (collective) to schedule. Black Belt Treasures (pictured below), a nonprofit retail gallery featuring artwork, sculpture, pottery, woodwork, baskets, jewelry, books and quilts from Gee’s Bend is located in Camden and a great spot to pick up a souvenir or gift. Alabama’s new Bass Trail runs through Roland Cooper State Park, which also offers a nine-hole golf course, campground, picnic area and boat rental. Keisha’s is the only restaurant on Gee’s Bend, serving sandwiches, salads and chicken fingers. Miss Kitty’s in Camden serves a soul food lunch, and GainesRidge Dinner Club, named one of “100 Places to Eat in Alabama Before You Die,” is known for its seafood, steak and black bottom pie. The Pancake House in Selma is a 70-year-old landmark for breakfast, while Tally-Ho restaurant there is famous for its resident ghost, Betty. Gee’s Bend’s annual May Day Festival will take place the first Saturday in May. Nashville’s Frist Center presents Creation Story: Gee’s Bend Quilts and the Art of Thornton Dial, including 20 quilts by the women of Gee’s Bend, May 25-September 23. The Gee’s Bend Play is scheduled to be performed again in September. We’ll announce dates as soon as they’re confirmed. Special thanks to Linda Vice with Rural Southwest Alabama Tourism for hosted visits to Gee’s Bend, Sheri Schumacher with Auburn School of Architecture for the Urban Studio presentation invitation and information; and to the women of Gee’s Bend for allowing us to photograph and video their beautiful singing voices. Photo credits, from top: Quilt Mural Trail courtesy of Rural SW Alabama; hanging quilts by Deep South; ferry, Freedom Quilting Bee, Quilters Collective and Quilt Mural courtesy of Rural SW Alabama; learning center sketch courtesy of Sheri Schumacher, Auburn College of Architecture; women quilting, quilts outside and Welcome to Gees Bend by Deep South; and Black Belt Treasures courtesy of Rural SW Alabama. Update: We received an email from Euneika Rogers-Sipp with Sustainable Rural Regenerative Enterprise for Families asking us to let readers know that the idea of community-based tourism was introduced to Gee’s Bend in 2010 and that the community has been active in tourism efforts since then. Some of these early efforts included the development of homestays and identification of community members for hospitality and management training. Most people reading these articles and comments are thinking this is an incredibly awesome happening, however, in a sense this all saddens me. I realize the amazing aspect of seeing this culture with one’s own eyes, by the exposure and all, however, we do all realize that this people, although one says, that the people of Gees Bend are finding their identity in the world, i feel that they are really losing their identity as a people as a culture. What once was will no longer be the same. Through exposure, the are leaving behind those ancient markers. Ludelphia Bennett may be blind in one eye, but that doesn’t mean she can’t put in a good stitch. In fact, Ludelphia sews all the time, especially when things are going wrong. But when Mama gets deathly ill, it doesn’t seem like even quilting will help. Mama needs medicine badly – medicine that can only be found in Camden, over forty miles away. That’s when Ludelphia decides to do something drastic – leave Gee’s Bend. Thanks for mentioning this, Kory. We’ll add it to the article and also bring it up on Friday during our Literary Twitter chat. What a great article. I hate to admit this but, this is my first time reading about Gee’s Bend. 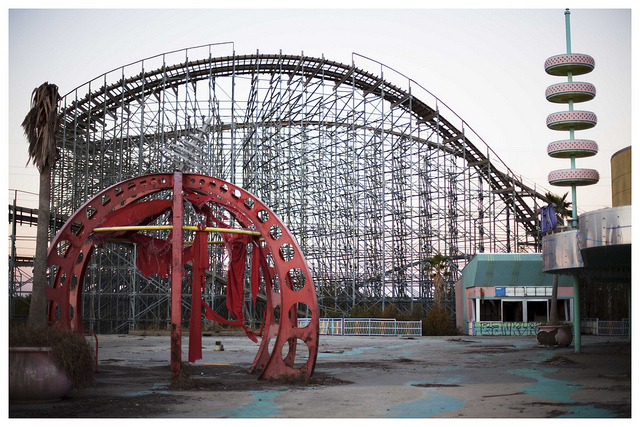 Just learning the history alone of Gee’s Bend makes me want to visit. Actually, visiting would be like connecting with a part of my history, though I live Northeast, my family and roots are in the South(Carolina) but, it is the history behind these quilts that bind us all. Beautiful. very interesting taking into consideration my Great grand mother was part of the original Gee’s Bend Quiliting Bee and I frequent Gee’s bend. I am very interested in the improvement of Gee’s Bend and my family property. As a direct descendant of a Gee’s Bend family, I love seeing positive articles on the significance of the area to Americana. I do wish the author of the article had mentioned what the Benders received for their involvement in the quilting classes and homestays. Visited Gees Bend after Memorial day in 2012 and was greeted warmely by Maryann Pettway and others as they showed me their quilts. It was a wonderful expereince and the women were amazing and their quilts were beautiful. A part of history of the South that thankfully has not been forgotten, and truly represents art at its greatest, making do and making art with what you have. Nancy Callahan, The Freedom Quilting Bee, The University of Alabama Press, Tuscaloosa and London, 1987. The Last Folk Hero relates the problematic relationship between Thornton Dial and Bill Arnett. Ms. Ashmore in her Preface comments on a Gee’s Bend Quilt exhibit at the High Museum of Art. She explains why the quilters are poor but not “isolated” from this world we all live in. 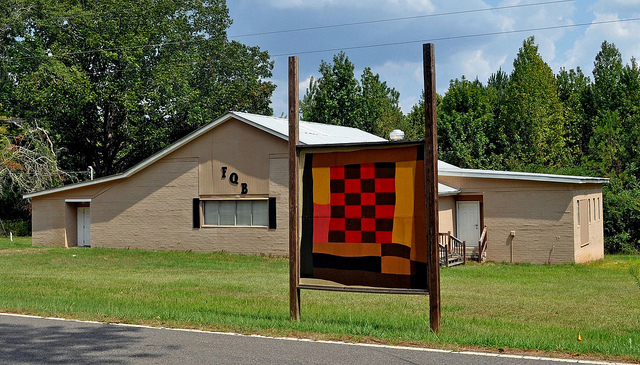 Nancy Callahan records The Freedom Quilting Bee, established in 1966 and its introduction to the American public of the extraordinary quilts of Gee’s Bend and Wilcox County. On June 1 and 11,2007 in Federal Court in Selma two suits were filed by Annie Mae Young and Loretta Pettway,Plaintiffs vs.Tinwood Ventures, a Corporation; William Arnett; Matt arnett, individuals, Kathy Ireland Worldwide, a corporation, Shaw Living, a Corporation; Visa, a corporation Defendants. On June 5,2007 Ben Raines, a staff reporter for the Mobile Press Register, filed an extensive account of the charges brought by these two women. Mr. Raines still works for this paper (1 800 239 1340)and can refer one to the article. The suit was resolved outside of court with a substantial cash settlement. In my own words the issue was the possession of intellectual property rights to which the defendants were not entitled and the improper use of the plaintiffs name and image to promote the sales of Gee’s Bend materials. It is difficult,perhaps impossible,ethically to be both a collector and mechandiser of art bought from unlearned and naive artists. It was never settled out of court my aunt Annie Mae young died before the completion of law suit, I wish it was something I could do. The only thing this organization has paid my family is no mind. What Tinwood has done amounts to a heist of the Bend’s artistic heritage. Most of the stories they have told in their books and films about the people and the place are false. Marketing ploys that exploit cultural fantasies, when applied to actual groups undermine our sense of people as varied and competent. The biggest falsehood is that the quilters have benefited economically when they haven’t. Only one quilters who actually lives in the Bend has made any substantial sum. Those who lives there sell small items like bags to tourists for pin money, and they are poor. Urbane talent seekers have frequently been unscrupulous with the less sophisticated. But there are the lengths to which the owners of Tinwood have gone to convince the public that their chief interest was the advancement of African American art. They see to it that others depict them that way. Eugene Metcalf has edited and contributed to Arnett’s catalogs and is one of the pack of professors Tinwood always draws on. He argues in Raw Vision, a journal of outsider art, that Bill Arnett is a friend to African Americans and a heroic fighter against exclusionary cultural homogeneity in the field of vernacular art. Now, in 2012, star quilter Loretta Bennett, born in the Bend but who lives in Huntsville, sells exclusively through the Kucera Gallery in Seattle. The Arnetts don’t visit anymore. Except for the exhibit at the Frist, they have moved on to other enterprises. Nettie Young, the former assistant manager of the Freedom Quilting Bee, died in 2010 at ninety-two. Matt Arnett had possession of two of her quilts. Rennie asked him to bring these to the funeral, and she told me that Matt made an almost fulsome speech about Nettie. In keeping with the Arnetts’ usual veneer of intense feeling, he wept. But he didn’t bring the quilts. Well I’ve just come from Gees Bend. I can tell you that what I saw and what you wrote are nothing, nothing like what I saw. I quilt, so felt that this would be a very inspirational trip to see unique and wonderful works. Nothing could be further from the truth. They quilt, that is all, and the price of a 12 x12 piece of machine made, hand quilted, (very very simple too) was $55.00. Outrageous price for the work. Someone is managing these women, someone is making money from them because I sure didn’t even see any signs of the women’s success because of their works. Where did you see the quilt signs? I only saw two. A very accomplished PR is being done at their expense. The quilts are very simple. They don’t use scraps, they buy fabrics just like the rest of us. The woman in the shop said HE when I asked why the long arm in the shop wasn’t used. She said “he doesn’t want us to learn” Said it all for me. Except who is “he”? Holy cow! A friend of mine just visited Gee’s Bend and I sent them several boxes of quilting fabric from my gigantic stash, believing that they were in need. Now I am wondering. The majority of these women are very much in need of fabric and supplies. I know and work with many of them, and while some of the fabrics are new, they are mostly donated. Most of these ladies live on less than $800 a month. Their need is as genuine as their spirit, but as many people have taken advantage of them over the years, they are not quick to trust. Please keep an open mind, and please do not hesitate to donate to these wonderful women. One of my childhood memories is sleeping under the pile of sheets my grandmother sewed by hand and with the foot-pedal sewing machine using the old work shirts and flour sack dresses worn by the family. Those quilts were so heavy, there was no use trying to turn over in bed. We were wrapped in Grandmama’s love and heavy cotton. The weekend before my mother died (very unexpectedly) we were looking at those old quilts and she was showing me the dresses I wore as a child and a dress she wore when pregnant with me. She explained the string quilt, and how when material was to small to be used as a quilt patch it was sewn together to make a patch large enough to use. I have several of my grandmother’s quilts. They are not fancy or decorative, but utilitarian. I look at them and am reminded of cold nights when heaters are turned down so low it takes several minutes to warm up the bed. I also am reminded of Alice Walker’s “Everyday Use” and wonder what my grandmother would think about a quilt, even a beautiful decorative quilt, being sold for thousands of dollars. I hope the fine ladies of Gees Bend are indeed receiving the treatment and reimbursement they deserve for their work. If not, perhaps bringing tourism into the area will help shine a light onto the situation and boast their economy. I wish them great success. I’ll see what I can find out, James. I visited Gees Bend in October 2012, as part of a group paddling the Alabama Scenic River Trail. It is a lovely place to visit and has a compelling history. I’d like to point out that Linda Vice is a delight, and is passionate in promoting her region. As well as Mark and Sandy Curl of Wilcox County Chamber of Commerce. I recently visited Gee’s Bend for their May Day celebration; unfortunately, since kinfolk from all over were there for the gathering, I couldn’t get a homestay, but stayed over in Camden at the Southern Inn. Mary Ann Pettway was wonderful, and everyone in the community was extremely kind & welcoming. I’m a writer, and didn’t go for the quilts, but for the people–especially the older folks. I was made to feel very much at home, and people directed and even took me to introduce me to various people who could help with the children’s books I’m writing. (I also was invited to one family’s cookout!) I did purchase some machine-quilted potholders at 2/$24.00. Mary Ann was working on hand quilting a gorgeous queen-sized quilt in shades of brown when I visited her at the collective. Took the ferry back over to Camden on my second day and met a gentleman whose mama was Arlonzia Pettway. I also met Mary Lee Bendolph briefly, and she is a total delight! So glad to hear you enjoyed yourself, Kate. It’s a special place. I teach patchwork to a large group of black elders in the St. Paul’s area of Bristol, UK. The ideas that this article have put forward for development are inspiring. I have sent information about the Gees Bend project to a community development officer at the City Council. Do you still accept scrap fabric ?I have some my mother had but she has pasted away. Excellent article. I live in Huntsville, AL and I’ve been looking for some interesting places to ride my motorcycle for a day trip. Looks like I’ve found a spot. Have Keshia save me some chicken fingers! This is a great article to share with the world. I am a vintage quilt collector and seller too. I have always loved the Gee Bends quilts. Thei history behind them make it even better.Thanks for the information. This has been on my bucket list for a while. Excellent write-up! Everything I wanted to know. Gonna miss this quilters, but at least I’m gonna be there. In the fall of 1973 my husband of one year and I moved into the house next to the Freedom Quilting Bee. I worked in the day care center that was in one end of the FQB. I enjoyed the delicious lunches the staff prepared for the children and the workers. My husband did some farming and community work. The people living there did not have much but they were so accepting of us and were very kind. The ladies worked very hard at making their beautiful quilts. Alabama. We were there for about 1/2 year and have very fond memories of all the wonderful people we met. Pretty! This was an incredibly wonderful article. Thankjs for supplying these details. Will there be the play this September 2016? If so what is the date, time, and where? I’m not sure if the play is still being performed or not. Will try to find out.